Excellent and easy to use skin care products for men too. I can truly testify that the quality is extremely high! Well trained men completed about 50 minutes of a resistance training program and then immediately consumed either the carbohydrate-only, or the whey-protein only drinks. The subjects did not know which of the 2 drinks they were receiving. 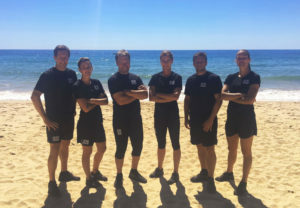 After 65 minutes they were then served the post-exercise meal consisting of Spaghetti Bolognese and olive oil and asked to consume as much as they wanted within a 20-minute time window – where eating rate and total amount consumed were both measured. The study results demonstrate that the test group who received the whey-protein drink ate significantly less overall, and also ate at a slower rate when compared to the test group who received the post-exercise carbohydrate only drink. 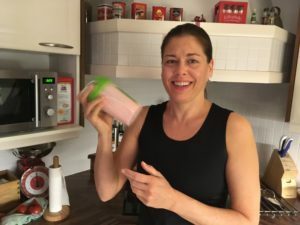 Overall the test subjects who received the protein drink consumed on average 102 calories (430KJ) less than those who had received the carbohydrate drink. For those of us trying to build muscle whilst losing weight this is significant. It has been frequently reported in scientific literature the most likely possible mechanism to explain this effect on satiety relates to the stimulation of gastro-intestinal satiety hormones by protein. This research indicates that the consumption of protein following resistance exercise has added value in controlling appetite. So, consuming high quality protein drinks or shakes during a weight loss program may have an extra benefit other than merely helping to preserve and build muscle whilst losing fat. Your NeoLifeShake combined with the right kind of resistance training is just what you need to help you control your appetite and get lean! 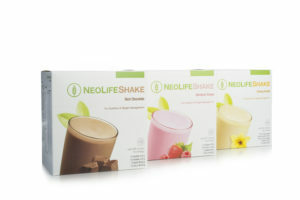 NeoLifeShake helps you feel full faster and for longer, giving you lasting energy. Based on the science of cellular nutrition & Glyceamic Response Control Teachnology for daily nutrition and weight management. Dr. Diane E. Clayton, Ph.D.
Coenzyme Q-10, abbreviated as CoQ10 and also known as ubiquinone, is a powerful and important compound that is made in the body. It can also be consumed in the diet: rich sources include meat, poultry and fish, although levels found in food are not enough to significantly boost the levels in the body. While CoQ10 is found in all cells in the body, it is highest in concentration in organs with the highest energy requirements: the heart, liver, and kidneys. Because the body can synthesize this compound, it is not often that we become deficient in it in our youth. However, as we age, or take certain medications, the level of CoQ10 we synthesize decreases. In particular, drugs such as statins, which are common heart health drugs used to reduce levels of cholesterol and triglycerides in the body, have been shown to decrease CoQ10 levels in the body by blocking the shared pathways that synthesize both CoQ10 and cholesterol. Thus, evidence suggests that supplementation may help correct these deficiencies. That is why more and more, health professionals are recognizing the benefits of CoQ10 supplements for their patients, especially because a lot of scientific research is showing how low levels of CoQ10 are associated to most of the chronic conditions of today. Everybody needs CoQ10 and it is never enough to remind everybody how important is the choice of a CoQ10 supplement. First of all, you have to make sure it is naturally sourced, then you have to read all the ingredients to see if it is formulated synergistically and then of course you should choose a Company/Producer you can trust. 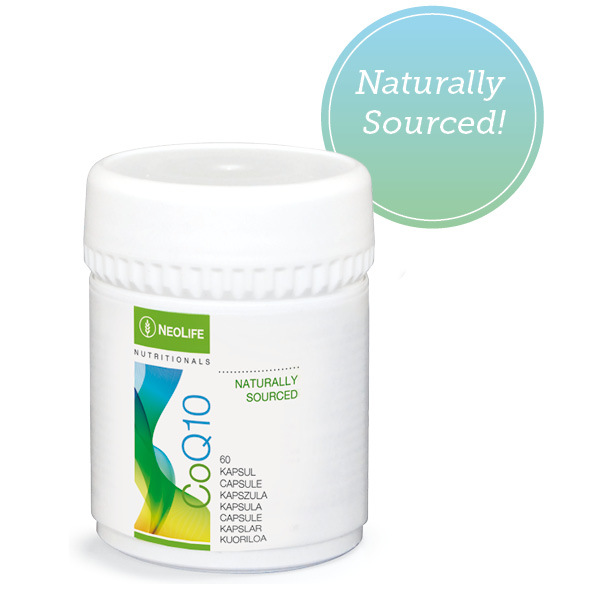 Our NeoLife CoQ10 is naturally sourced, delivered in highly bioavailable form. The most common form of CoQ10 sold today is synthetically sourced and poorly absorbed by the human body. Everybody should look for a naturally sourced CoQ10, with a focus on enhanced bioavailability. We use a trio of bioavailability enhancing ingredients, Medium Chain Triglycerides coconut oil, rice bran oil and sunflower lecithin, which make our CoQ10 highly bioavailable. And we don’t just have CoQ10 in our product. Combining CoQ10 with critical ‘partner nutrients’ such as L-cysteine, polyphenols, and certain phyto-lipids & sterols is the best choice. A comprehensive nutritional support, with all ingredients playing critical roles in the production of cellular energy. And furthermore, when it’s your wellness on the line, the smart choice is choosing a company with a proven track record of product quality and integrity. No doubt NeoLife is the right choice. 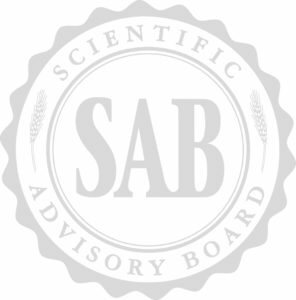 science in order to develop high quality and competitive products year after year. PhenHRIG continues to be dedicated to identifying the numerous benefits associated with consumption of plant phenolic compounds in the form of phenolic rich foods or supplements. 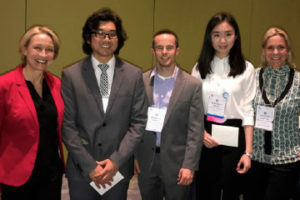 This year’s PhenHRIG 2017 Symposium was held on April 22nd in Chicago and focused on the exciting new area of how plant phenolics alter the microbiome and human wellbeing. The Symposium attracted a lot of interest from eminent researchers in the field of nutrition science. of NeoLife’s Scientific Advisory Board, who also took part in the 2017 Young Investigator Award ceremony. 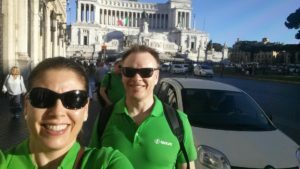 Petteri Karttunen and Liina Sourander got inspired at a product seminare with Dr. Diane Clayton, a member of the NeoLife Scientific Advisory Board, to follow a detox diet and support the body with the food supplements needed for the purpose. We are happy to read about their experience and like to share it as inspiration. 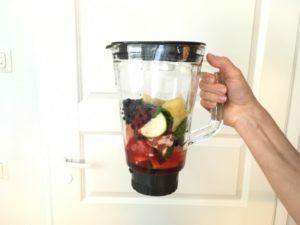 We heard about the three day detox at Diane Clayton’s seminar in Helsinki and got immediately excited about the idea to try it. At the same time it occurred to us that this would be a great tool to achieve quick change in people’s well-being and help them jump start a healthier diet. We also had the idea to try the detox with our team and achieve results that we could show others. 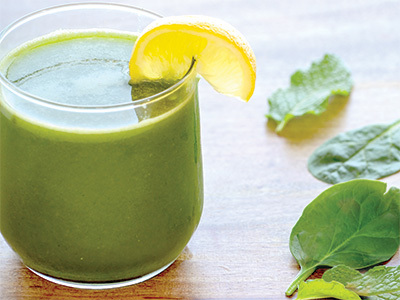 How did the detox go for us? have to admit, it would have been nice to have some grilled chicken. The second day was similar to the first. 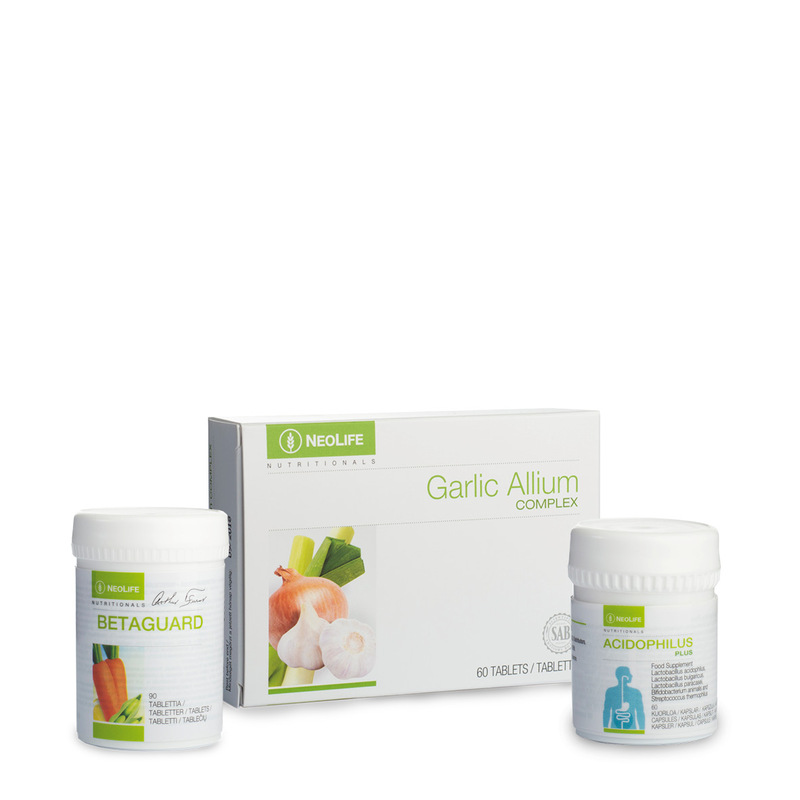 We took Betaguard, Garlic Allium Complex and had water, fruits and vegetables as much as we liked. would be allowed to have some NeoLifeShake and protein-rich food. During the second day we felt even chillier than on the first day. I wonder if NeoLifeShake has ever tasted so good as now? Breakfast and lunch were NeoLifeShake and both snacks of the day were NeoLifeBar. For dinner we had the chicken we’d been lusting after so much, dressed with cottage cheese and a big load of roasted vegetables. Petteri had his second snack, the bar, before going to bed. 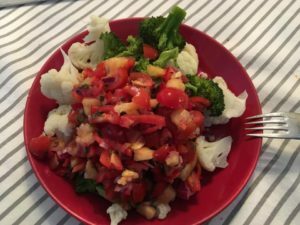 Liina’s snack was “melted away” in the afternoon before a floorball game and for her the late dinner was the last meal of the day. 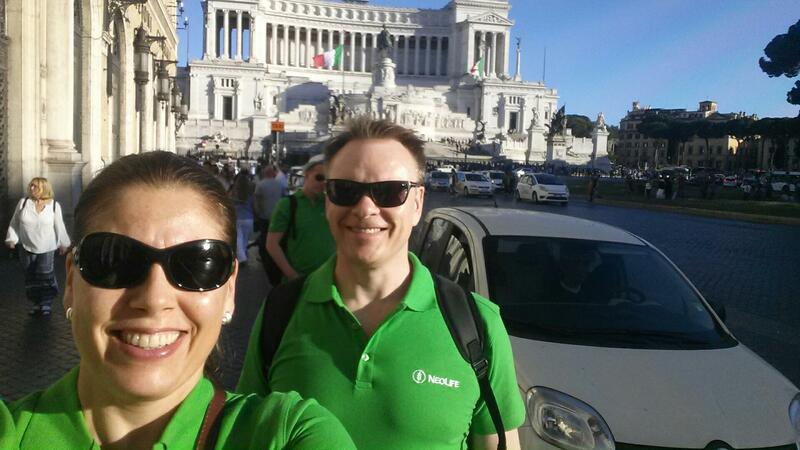 On the fourth day we followed the same diet of NeoLifeShake, NeoLifeBar and a nutritious dinner with vegetables. 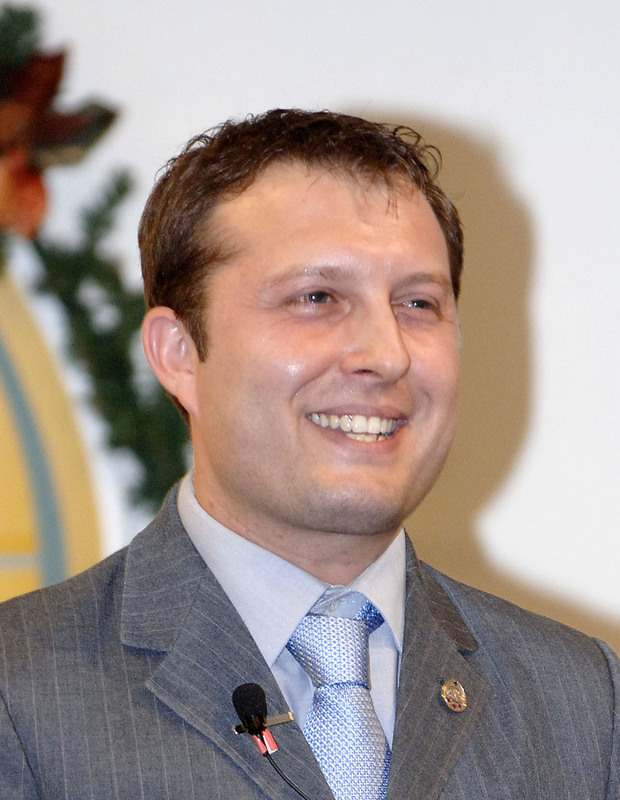 We started to feel lighter and more energetic. We continued having 2 Shakes but changed the second Bar to a healthy snack described in our Weight Management Guide, I.e. low fat cheese and grapes. On the last day we felt really perky and the mood was up. We were waiting for the anticipating and measuring the next day. Liina had her main meal, chicken and salad, at a restaurant. In the beginning of the week we felt a bit weaker than we expected. A sudden change of diet can be a little bit of a shock to the body and it took some time for it to be “awakened”. One tip we could give is that excessive feasting before the program is not advisable. Liina’s restaurant meal on Sunday was a mistake, because apparently the sodium content was too high and resulted in bloating. We also put our international contacts to good use and received some recipes from the States for preparing vegetables and a tasty detox drink. 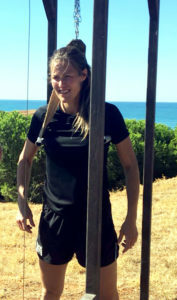 The results for us: Liina lost 2,5 kg and 1 cm from her waist (the restaurant meal affected this). 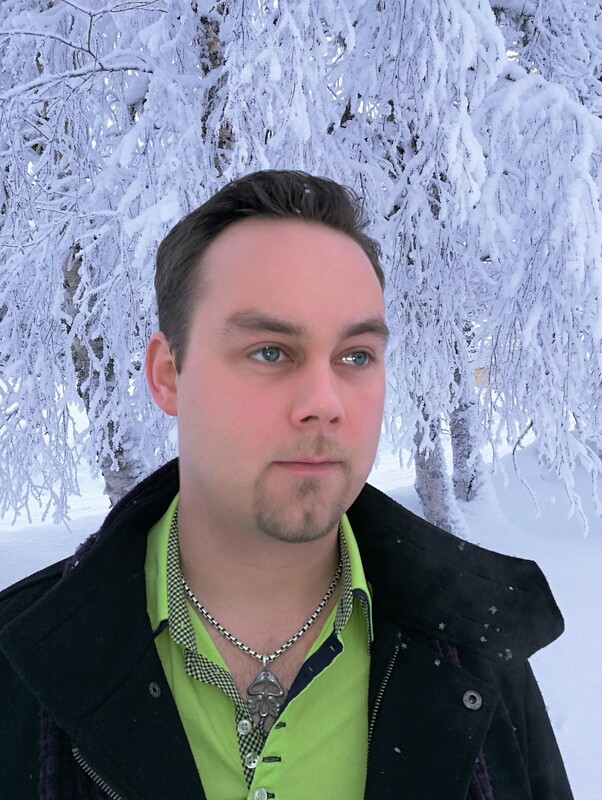 Petteri lost 3,5 kg and 2 cm from his waist. We think that a diet like a three day detox program is a great jump start for healthy eating and cleansing of the body. One piece of advice; it is very important to follow the food instructions of the program literally. One exception to the recommended supplements we experienced is that we got better results when we add Aloe Vera Plus to the program to help cleanse the body more efficiently. We are planning to do the program about 4 times a year to get rid of accumulated chemicals and toxins in the body. It is very simple and we believe it will be easier to follow next time and make even better choices during the program. We have had many people trying out the detox and we are happy to see all the great results! We love to hear about people who have truly turned their life around using NeoLife products! 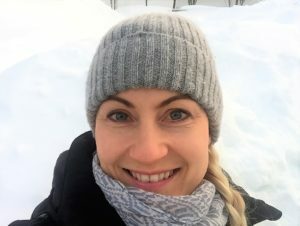 That is why we asked Emerald Director Pirkko Baas to share her story of how her family managed to turn their bad habits into a life of energy and vitality. -Using NeoLife products in our family is a matter of the heart! We used to eat too many calories and too big portions, but with NeoLife we have learned how to choose the right foods and follow a healthy meal plan. NeoLife weight management programme has taught us to eat right! -We have gone from eating lots of red meat to a more fish-oriented diet with fewer carbohydrates and more lean protein. 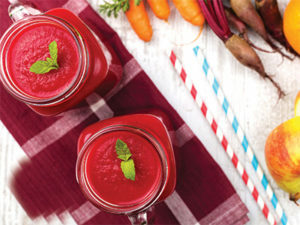 Our diet also includes delicious fruits, berries and vegetables and root vegetables which we grow ourselves. We get our metabolism going in the morning and fuel our bodies with regular meals during the day to enhance fat burning and satiety. 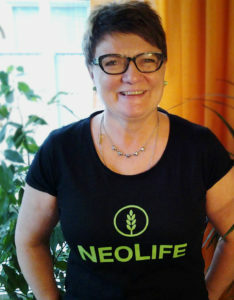 Thanks to NeoLife we now have energy the whole day. 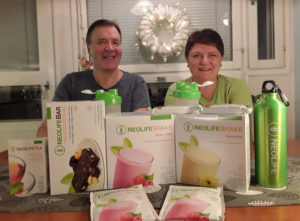 NeoLife products have helped Pirkko and her husband Aimo to get rid of old habits and start making better choices. Their new, healthy lifestyle has improved their wellbeing and given them the energy and inspiration to share their experience with others. -We both feel so much better and stronger after starting to use NeoLife products. The products have brought us vigour, weight management and a wonderful change of lifestyle! We have taken control of our wellbeing and we want to share this knowledge about healthy lifestyle choices with others. Aimo’s old habit of filling up with lots of bread and cold cuts in the evenings is now history. NeoLife weight management programme has helped him find a healthy meal rhythm, and with good nutrition and exercise 3-4 times per week, he has lost a total of 12 kilo. It turns out, it is not only Pirkko and Aimo who can see and feel the difference. -We often get feedback about how good our skin looks, how energetic and effective we are. People are impressed that we have so many hobbies and enjoy such an active life. Just the other day we got feedback through a NeoLife friend who had met someone from my previous home village. They had wondered what had happened to me, as I have apparently got younger and so well-looking, Pirkko laughs. This happens only when you are in NeoLife! -We love the products and NeoLife more than anything! 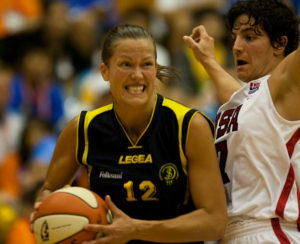 Cecilia Ferm has been playing professional basketball for many years and has been a NeoLife distributor for almost 3 years. She recently returned from the set of TV-show Champ of champions* that will be on Swedish television next year. We asked this highly topical mother of three to tell us what NeoLife means to her, in her everyday life and in her career. 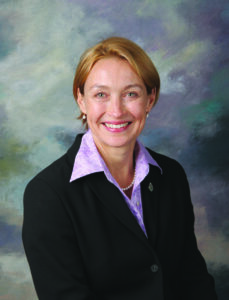 My name is Cecilia Ferm, I am deaf, 41 years old, and I have three little boys; 5 years, 3 years, and 9 months. I just completed the filming of TV-show Champ of champions. Taking part in this competition has been a great, awesome, amazing experience. It is a great honour to be asked to participate, and being the first deaf contestant has been so cool. I am proud that I had the courage to take part, and so grateful that I was given this opportunity. I’m very glad to have met new friends and gotten to know some great sports profiles. I have played professional basketball for at least 20 seasons. I have played in the Swedish national team for hearing and for deaf. I have quite a record of prices and recognition, including 8 golds from Swedish Championships for hearing. With the national team for deaf I have won 6 European Championship golds, 1 World Championship gold and 1 Olympic gold medal. I have been named athlete of the year in the category functional disability/deaf athlete at the Swedish sports awards, role model of the year in Örebro and Solna county, and world’s best deaf athlete twice. It was one of my basketball trainers who contacted me and told me about NeoLife products. I tried NeoLifeShake, Omega-3 Salmon Oil Plus and Kal-Mag Plus D, and I fell for these high quality products. I always have the shake after training and as a snack. Sometimes I also have a shake before training or before a game if I feel hungry, then I don’t need to feel heavy in my stomach and slow. I feel that I can recover well after having the shake; I can reload and train hard again the next day. It contains enough nutrients and has a good balance of protein, carbohydrates and fat which gives adequate levels of the nutrition I need. I have good knowledge of diet and health, what the body needs, and the importance of the right diet for training and recovery to get the best results. Even if I eat right, and eat foods that are not processed I still need to add omega-3, calcium, magnesium and vitamin D to make up for what is lacking in my food. Those are the nutrients that are difficult to get from today’s food every day. It is also important to build your body as well as possible to avoid nutritional deficiencies or disease as you grow older. At the moment I’m on maternity leave, and the NeoLifeShake is the perfect snack when I don’t have time to cook. I am a personal trainer and I combine my maternity leave with PT-online training. I’m also Team manager for AIK women’s basketball. I normally work as a gym teacher at a deaf school in Stockholm. After my maternity leave, when my youngest son starts preschool, I plan to continue working 50% as teacher. Exercise and wellbeing is one of my biggest interests and I continue to play basketball, but at a lower level and just for fun. *Champ of champions (Mästarnas mästare) is a TV-show competition where a number of ex sport stars compete against each other in various events. The champs have to leave the competition one by one until only one is left, and that person is named the champ of champions. The show will be broadcasted in SVT (Public Swedish television) in the spring 2017 and will also be available at www.svtplay.se.